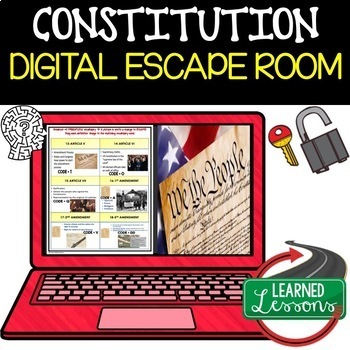 This is an excellent activity to have students BREAKOUT of their comfort zone and work together or individually, while concentrating on solving puzzles and drop-ins to review the CONSTITUTION. 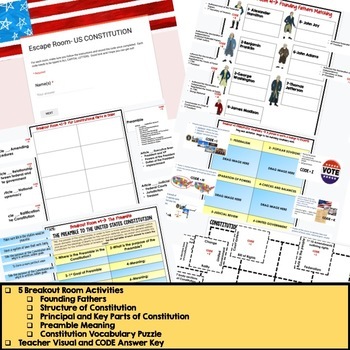 This activity is used through Google Classroom and can be used individually, as a group, or collaboratively shared. 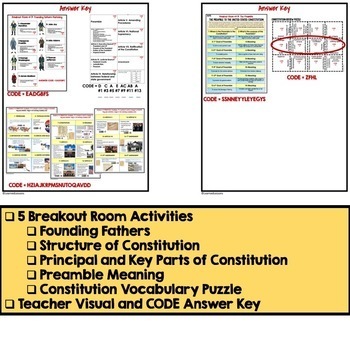 Also included in CONSTITUTION BUNDLE and CIVICS AND GOVERNMENT CURRICULUM BUNDLE. Teacher Instructions for ways to use this resource. 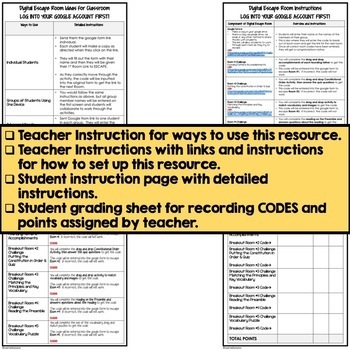 Teacher Instructions with links and instructions for how to set up this resource. Student instruction page with detailed instructions. Student grading sheet for recording CODES and points assigned by teacher.